So what do you guys know about the ADS-B requirements showing up (required by 2020)? My wife's bird with need this upgrade on her 150 between now and then. Our local A&P indicated it will cost between 3-5K for this changeout! Ugh! Does that also mean your old Mode C transponder becomes a planter at that time (if you haven't converted... just leave it off)? It will be only required where currently the Mode C is required. In reality, a very small amount of airspace in the US. I"m not planning on installing it and I don't know anyone in my area that is. What is your A&P proposing for the $3-5k install? (this is on the low end of the cost scale). Navworks used to be the low price option, but they had a bit of a tiff with the FAA and their boxes do not seem to be available at the moment. I know the people stuck in the NavWorx situation hope it works out, but personally I'd say they are toast. Picking a fight with a Grizzzly bear (FAA) usually doesn't end well for an unarmed 90lb weakling (NavWorx). 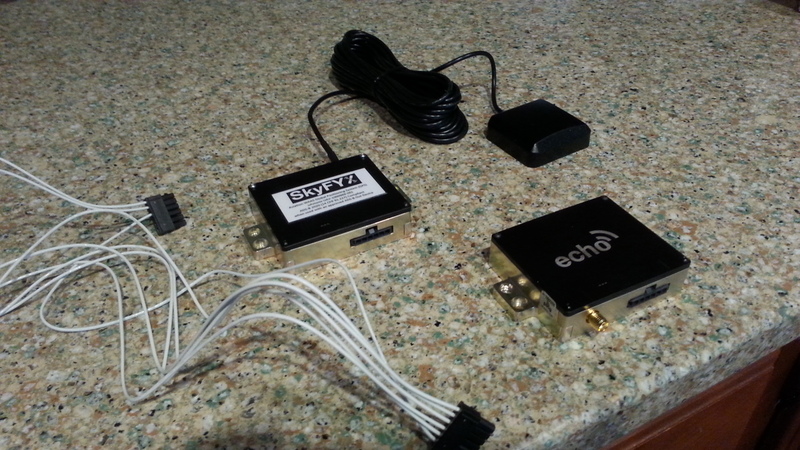 The expensive part of the ADS-B install isn't the ADS-B transmitter, it is that a WAAS GPS source is required. There are options now that include a WAAS GPS in the transponder or UAT box, like the Appareo Stratus transponder, Garmins GTX-335, Lynx. If your transponder is older and not solid state, I would recommend replacing it with a one of those. If it is newer and solid state, I'd look for a UAT box that will work with it, unless a new transponder turned out to be cheaper. The UAT's were supposed to be less expensive, but that hasn't worked out to be the case so far. One thing to watch out for, there are still some companies trying to sell portable ADS-B boxes, and claiming they are compliant. They are not, and they never will be. The FAA is using ADS-B to replace radar, and will rely on it to keep our little planes separated from the big aluminum tubes full of voters. They will never approve a portable device to do that. Caveat Emptor, and if it sounds to good to be true, it is. Until recently, my advice was to wait, more stuff would be coming out, and the costs will go down. I think most everything that will be available is now, and the prices are not going to drop until after the rush to comply before 2020 is over. Plus the FAA is offering a $500 rebate right now after you get it installed and pass a test flight. Thanks for all the feedback. I am not sure what he is proposing for the install as I am not sure what ADS-B really is yet, so can't talk intelligent on it (something to do with plane separation and vehicle ID). Other than the sticker shock. We are using this plane to obtain our PPL so hopefully we can get all this done before 2020. Up to the bride after that if we dump more money into a device we might only use once or twice a year. So... would it be correct that we could still obtain flight following with the old transponder and no ADS-B after the 2020 deadline? I don't see why not. As long as you aren't flying in airspace where Mode C is required now, ADS-B is not required. If and when they actually start decommissioning radar in favor of ADS-B, that might change, but as long as radar is still the primary ATC position source, flight following should be available with a mode C transponder. ADS-B out gives ATC pretty much the same information as your mode C transponder does (with a couple extra things of dubious value like a 24 bit aircraft identifier) except it is GPS based instead of Radar and it is supposed to update a bit faster. The other thing is that if you dump even more money into it, you can get ADS-B in so you get a display of the various aircraft around you (with some exceptions) and "free" (as in it only cost $6000 or more) weather. What you end up with is a GPS receiver, the actual ADS-B transponder and a Mode C transponder with altitude encoder that is tied to (or integrated with) the ADS-B so that they both output the same altitude and squawk code. You might guess that I am not a fan. In is hardly $6000. Combine a Stratux (about $150), an android tablet ($100-$200), and one of the free flight apps for android, and you're done. That gets you weather, and 'air to air' traffic, and if you are close to an ADS-B out equipped plane, most all the traffic. 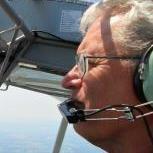 I am ADS-B out equipped in my Cherokee. 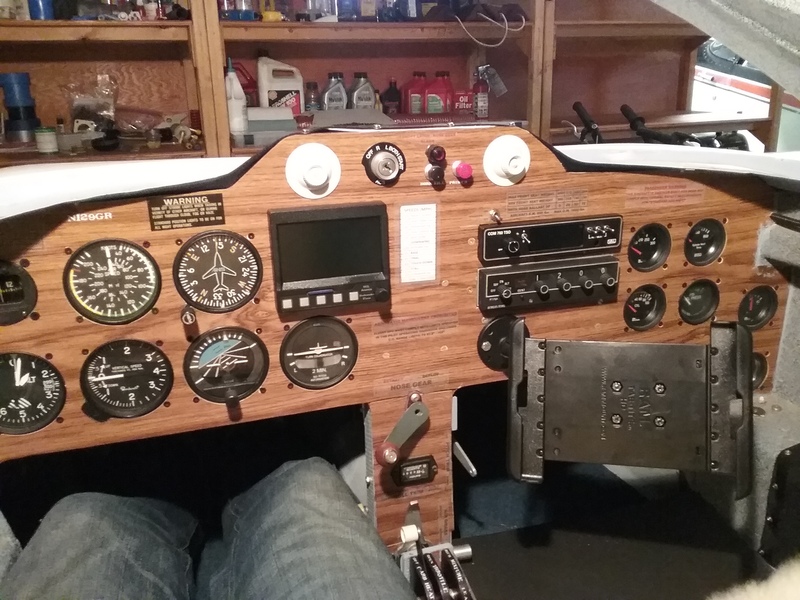 I have a GDL-39 (about $700), Garmin Pilot ($100 a year - gets all the VFR charts, always up to date. I run the IFR version for about $75 more a year which adds all the approach plates also. ), and an Android tablet (see above) and an old iPad (free since I bought it for other reasons). That is a 'cadillac' ADS-B in system. ADS-B out was more, but I was redoing that panel anyway, the ADS-B out only cost me about $1500 more since I was getting a GTN-650 and new transponder anyway. But that is an IFR traveling plane, not a fly around the patch fun plane. For my Avid, if I wasn't so close to Orlando and Jacksonville I wouldn't worry about ADS-B out. Still blows my mine that the FAA wants you to fork over 1/3 the cost of your plane just in order to keep doing what you have been doing. To me, the few tangibles are not worth it. I plan on holding off as long as possible or until I get in trouble for not having it . I can see installing it on a new build but for my plane now I don't see the reason to do so . Just stay out of the airspace where it is required, and you won't have a problem. Is Zephyrhills inside the Tampa 30nm Mode C ring? I have a KT-76A mode C in my SkyRaider II and in my Cozy, and I fly out of an airport near my home underlying Class B, so I'll need to get compliant in both for 2020. I've had my eye on the NavWorx-EXP unit as the lowest entry cost, but I'm glad I didn't pull the trigger since they are now battling the FAA and could crater. I'm now waiting to see how things shape up for the uAvionix Echo ATU 20, which was exhibited at Oshkosh last summer. This is from a Palo Alto based company primarily going after ADS-B for the UAV / Drone market which stands to have greater volumes and cost efficiencies. It is a very small and light unit, and they expect to price this version for the experimental aircraft market at around $1200 (I could see that going up if NavWorx craters, but hopefully competitors will proliferate to keep prices in check). 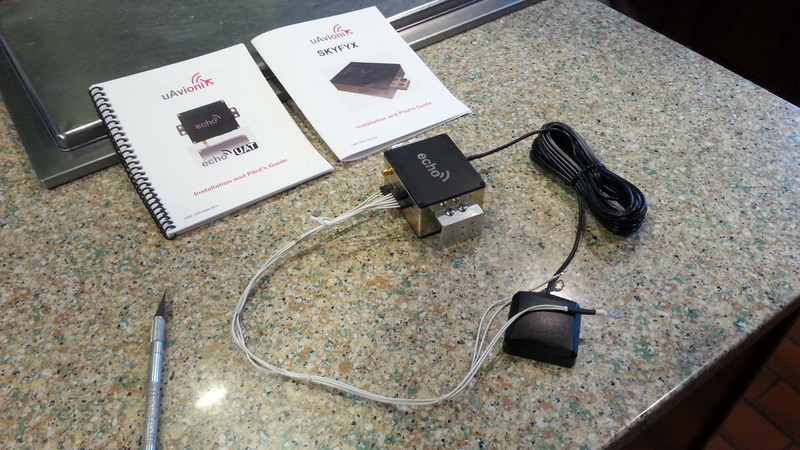 It has built in WAAS GPS and receives on both 1090 and 978, and transmits on UAT 978 MHz, so it doesn't need the Mode C coax coupler that the NavWorx required; it picks up your (1090) Mode C from its single dipole (ADSB needs to use the same squawk code as your Mode C transmitter so must monitor and duplicate). It has only WIFI for delivering ADSB-In Wx/traffic for tablet display unlike the serial port NavWorx provides but I can probably accommodate that. uAvionix is still working towards FAA approval for this unit. They have recently received approval for similar units from the UK Civil Aviation Authority and expect FAA approval in 2017. Don't jump too soon if you don't have to. Finally pulled the trigger after uAvionix started shipping last month. 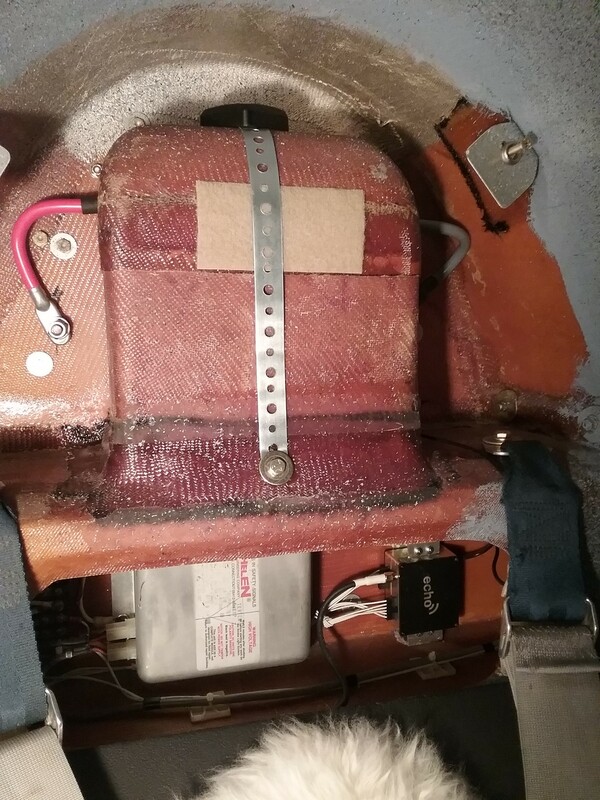 They ended up separating the ADSB transceiver ($1000) from the position source ($400) since many will already have a WAAS position source built into an EFIS or other NAV hardware. I don't so I bought the two piece package. Very compact and light. 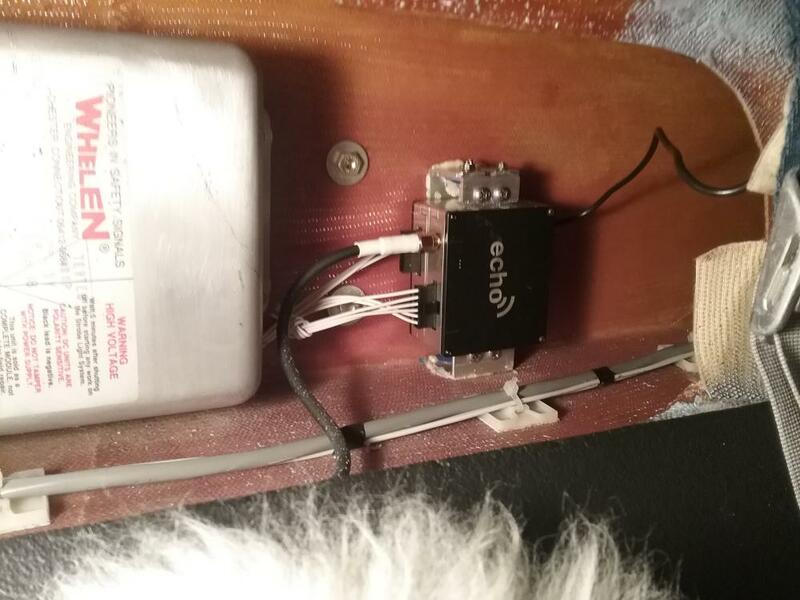 I put the magnetic mount GPS antenna on top of my battery box retainer strap in the top rear of the cabin, and ran coax out to a dipole midway out the right wing. The transceiver monitors my KT76A Mode C to snoop the squawk code and altitude for complimentary re-transmission with position added on UAT 978MHz, and delivers traffic and weather via WIFI to my Android Tablet running Avare EFB (free app). A Galaxy Tab A, $150 new, provides a very nice and bright 8" display for moving map and navigation via Sectional, WAC, or a variety of other map options, up-loadable free from Avare with the latest FAA map data. Won't be using the 'out' capability until I get my Transponder tested and certified, but can start using the 'in' as soon as I start flying it next month. Looks like a nice solution.